Born of Mexican descent in California, Gomez was one of the first Latino players in the Major Leagues. 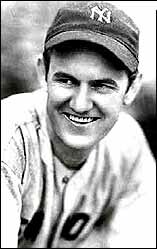 After being acquired by the New York Yankees in 1929, "Lefty" quickly became one of the most dominating pitchers in Major League Baseball. He was an integral component of each of the five American League Pennants and five World Series Championships the Yankees won during his tenure. Initially known for his blazing fastball and distinctly high leg kick, Gómez was forced to convert himself into a finesse pitcher after encountering arm problems later in his career. Arm problems notwithstanding, "Lefty" managed a remarkable 6-0 record in World Series games and was a perennial All-Star with a record three All-Star game victories (29). He retired in 1943 and was drafted into the U.S. military. After returning from service, Gómez became part of the Wilson Sporting Goods company, making thousands of appearances to spread baseball throughout the United States (30). In 1973, Vernon Gómez became the second Latino player to be elected into the Baseball Hall of Fame. 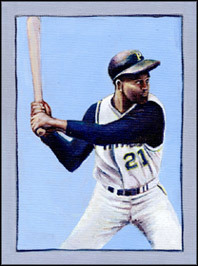 Born in Carolina, Puerto Rico, Clemente is arguably the most famous and influential Latino baseball player of all time. He began his career in 1955 with the Pittsburg Pirates and quickly made an impact in the league, batting .311 in his second season then following that effort with 12 straight seasons above .300 (31). Twelve consecutive gold glove awards added to his aura as one of the most dominating, complete players the game has ever seen. Though he was a stellar athlete, recognition was always slow in coming to Clemente, who often felt slighted by American fans and the media because of his Latino descent. Even though he led the National League in batting 9 out of 10 years in the 1960s, Clemente only won one MVP award, ironically in the year he did not win the batting title (32). As great of a player Clemente was on the field, he was an even better person off it. His tragic death came about while on a relief trip to Nicaragua to aid victims of recent earthquakes; his plane, loaded with supplies, crashed into the Caribbean Sea and his body was never found. Immediately after his death, the Baseball Writers Association of America waived the usual 5 year waiting period for election into the Baseball Hall of Fame and made Clemente the first Latino player to ever receive induction. Clemente now not only has a bridge in Pittsburgh and the highest award for sportsmanship and community activism in baseball named after him, but also, on September 18th, 2002, Commissioner Bud Selig declared an honorary Roberto Clemente Day (33). Roberto Clemente's activism changed American views of Latinos in baseball and helped open the door for many young Latino players to pursue the game. Clemente is considered a national hero in Puerto Rico and his legacy continues to affect the game. Orlando "Peruchin- The Baby Bull" Cepeda was born to a legendary Puerto Rican baseball player, Pedro Peruchin "The Bull" Cepeda. 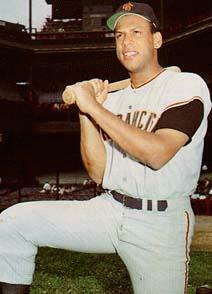 Cepeda burst onto the Major League scene, winning Rookie of the Year honors in 1958 (34). 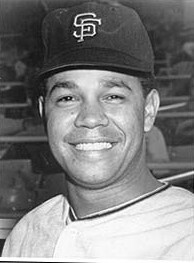 Throughout his career, Cepeda was a seven time All-Star, appeared in three World Series, and was voted National League MVP in 1967 (35). Off the field, Cepeda was known as a great humanitarian and ambassador for the game. After his retirement, he became heavily involved with "Athletes against Aids" and the Crohn's and Colitis Foundation of America, as well as helping to raise over $10,000 for the Roberto Clemente Latin American Athletic Club's baseball league in the mission district in Puerto Rico (36). In 1999, Cepeda was inducted into the Baseball Hall of Fame, saying in his speech that he was proud of his Puerto Rican descent and continues to live to be a role model for the people in his home country. Marichal, of Laguna Verde, Dominican Republic, made a quick impact on the game of baseball, so quick that he nearly threw a no-hitter in his first career start (37). Nick-named the "Dominican Dandy," Marichal was selected to nine All-Star games and pitched in eight of them, tied for the most in baseball history, recorded six 20-win seasons, and posted a career ERA of 2.89 with 2,303 strikeouts (38). Marichal was elected into the Baseball Hall of Fame in 1983 and currently serves as one of the 15 members of the National Baseball Hall of Fame Veterans Committee. In 1997, a little league team was created in his name in Washington Heights, New York City with the assistance of the Dominican Government (39). Marichal now lives in Santo Domingo, Dominican Republic, and acts as the Minister of Sports for the Dominican Government.